A long time ago I used to keep a calendar. Then I just stopped. When I got my first smart phone, I thought I would use that. Well, that didn't really work for me. But Filofax? I can really get into that. Why? Probably because it's fun to decorate and it makes me smile when I open it up! My filofax is a pink Domino. The black cat you can see peeking over the top is a wooden ruler that I use to mark the current week. Now, I will freely admit that Filofax is a little expensive. I'm really lucky because we sell them at Triangle and I can use my discount. The same thing would work with some of the darling binders and calendars from office supply stores like Staples, for example. One thing I immediately decided was that the calendar pages were just a little too thin for my liking. So I found The Plannertarium on Etsy who has a 2014 calendar just the perfect size. I print the pages on 80lb paper. 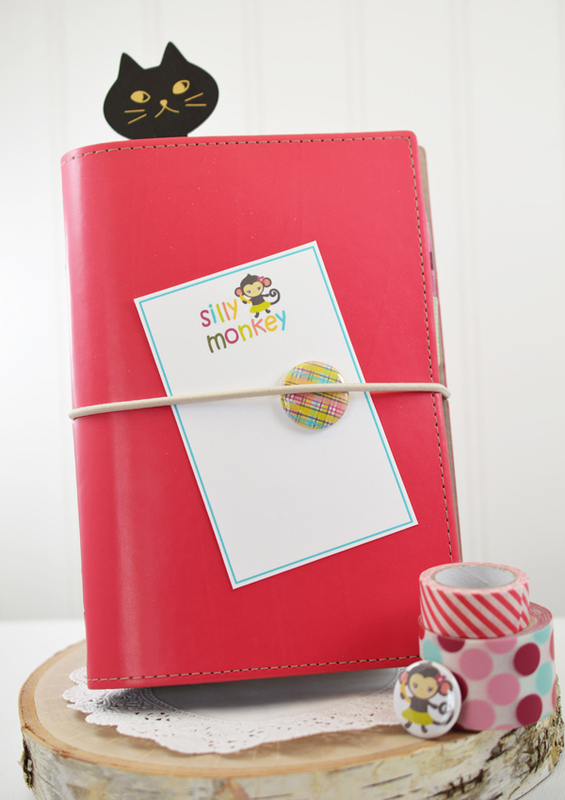 I made some fun cards and Silly Monkey pins from images I found at Blessed by Designs. For this set of pages, I used washi tape and post-it notes as well. I like adding a card to the middle of the pages for extra writing room. The pages are removable, of course, so I can take them out to write on and I don't have to worry about pins being underneath. If the pages get too thick, I'll just take some out permanently. I bought a one inch button machine from American Button Machines. Warning: they are a little pricey. But it is fun and the pins are really easy to make. The buttons require regular copy paper - the paper cannot be any thicker. 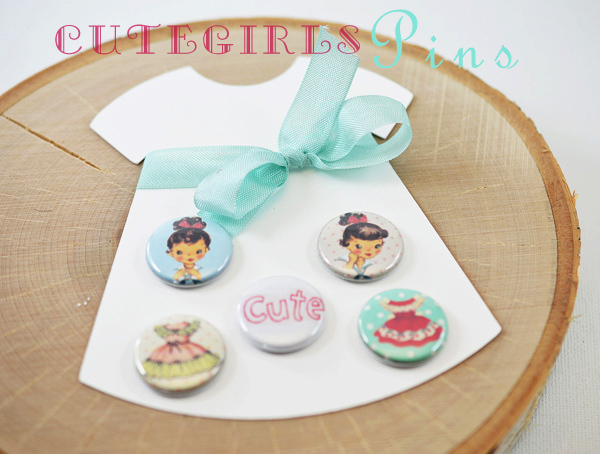 I find a lot of images on Etsy and make a few of my own - right now just easy things like words (the button that says "cute" in the previous post). 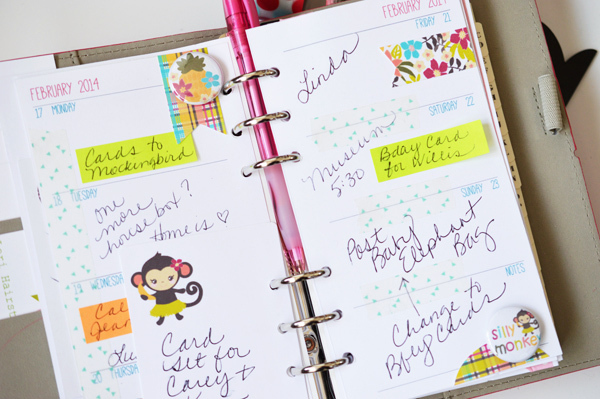 Let me know if you Filofax (or decorate your calendar) - do you keep a calendar? What works for you? I understand that some people even keep a time of Project Life in their Filofax. I'll share some more pages soon. I picked up these pretty card bases in the bins at Michaels - Yes, THOSE bins - the ones I can't stay away from! I love the floral with the kraft and the scallops. I've finally been putting my button machine to use again. Isn't she an adorable little pin? 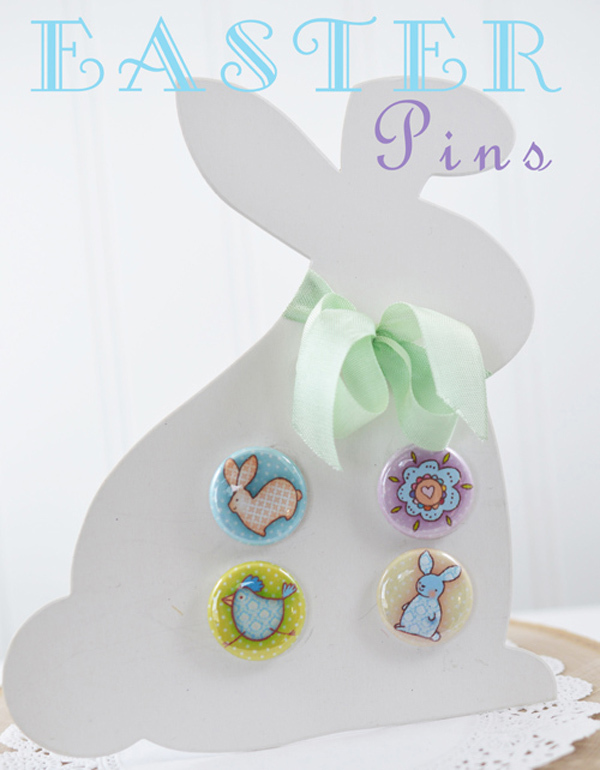 I love pins - they are so fun - and easily add cuteness to projects! 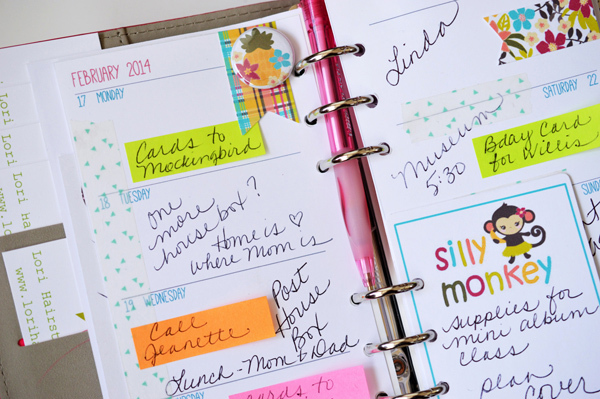 Perfect for Project Life and Filofax, too. 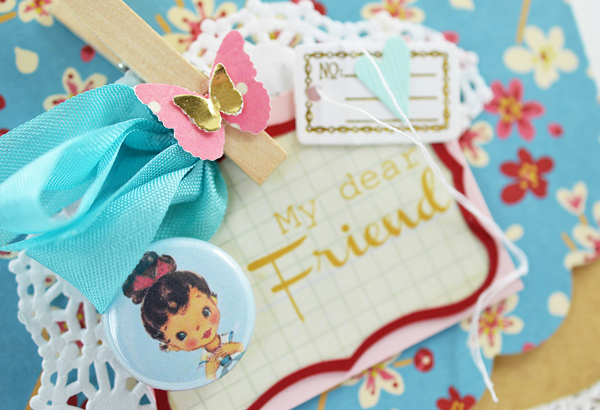 I love decorating my Filofax pages - adding pins - I'll share some pics later in the week. Have a great rest of your week and I'll try to remember that tomorrow is Wednesday and not Friday! 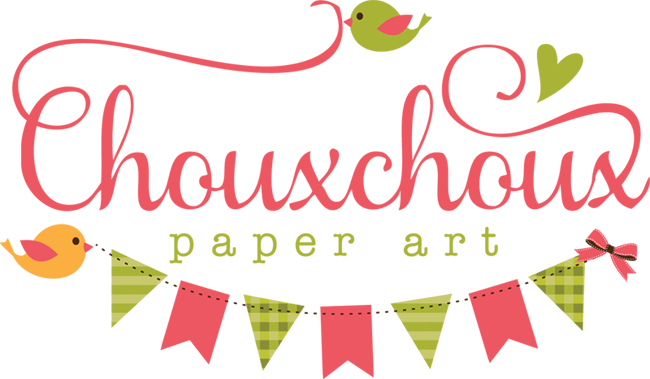 My cards are for sale here locally at Mockingbird Manor - a really cool antique store. I get quite a few special orders from customers and also from vendors in the store. Karen, who has a booth there, called me because she wanted a birthday card for her daughter. 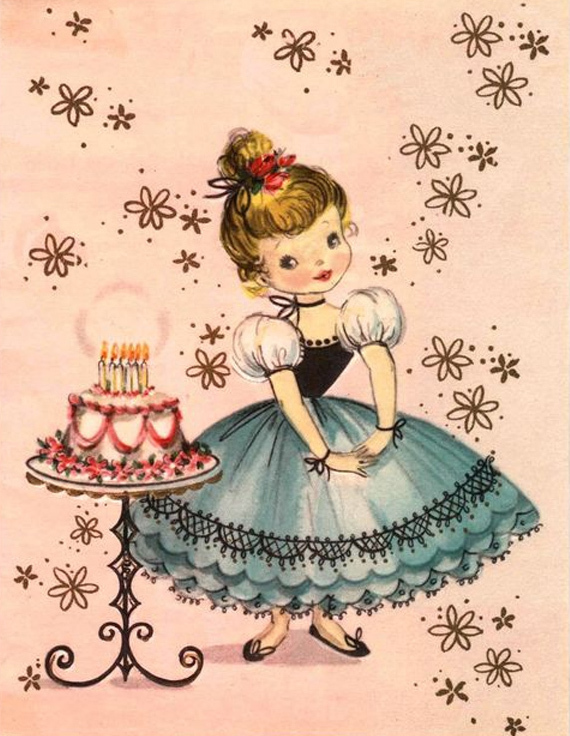 Sometime ago, at a flea market, I had picked up this darling birthday image and thought it would be perfect! I have her available below if you would like to make a birthday card with her, too. Along the top of the vellum I used a new embossing folder, Needlepoint Border, from Stampin' Up. 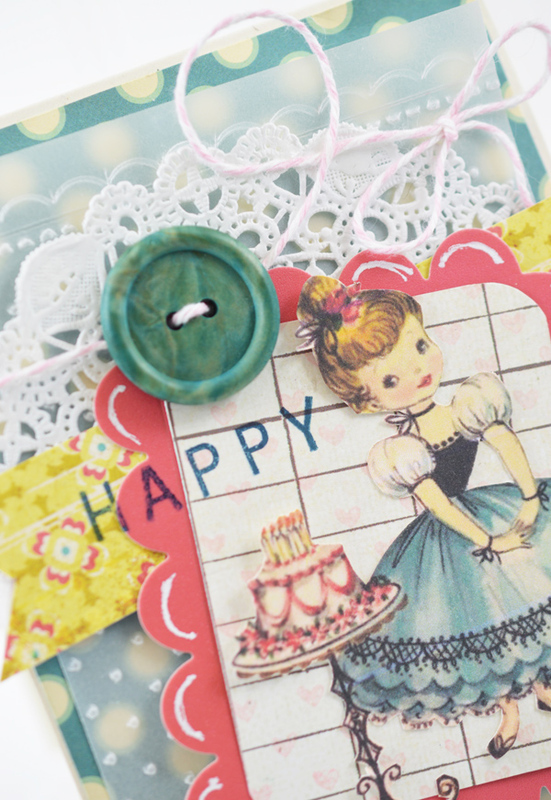 And a cute new die from Reverse Confetti, Love Note. Well, at least they are both new to me! 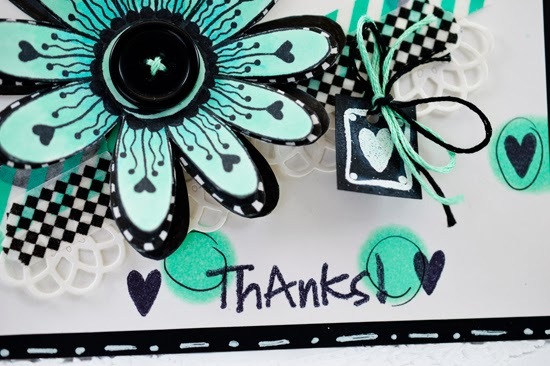 Sale-A-Bration at Stampin' Up ends March 31st. Hurry to get your free goodies! If you would like a copy of the birthday girl, click here. 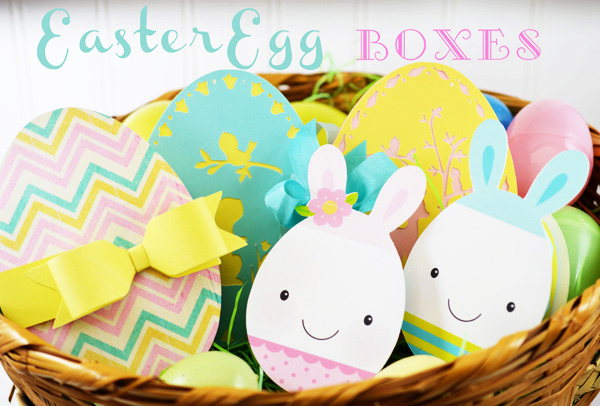 Oh, have I got a basket full of cute egg boxes! All courtesy of darling cut files from Lettering Delights. Aren't they fun? And also a nice variety. I made these just like I made my heart boxes. Remember how much I hate tabs? My method works wonderfully and is soooo much easier than trying to get all those tabs in place. 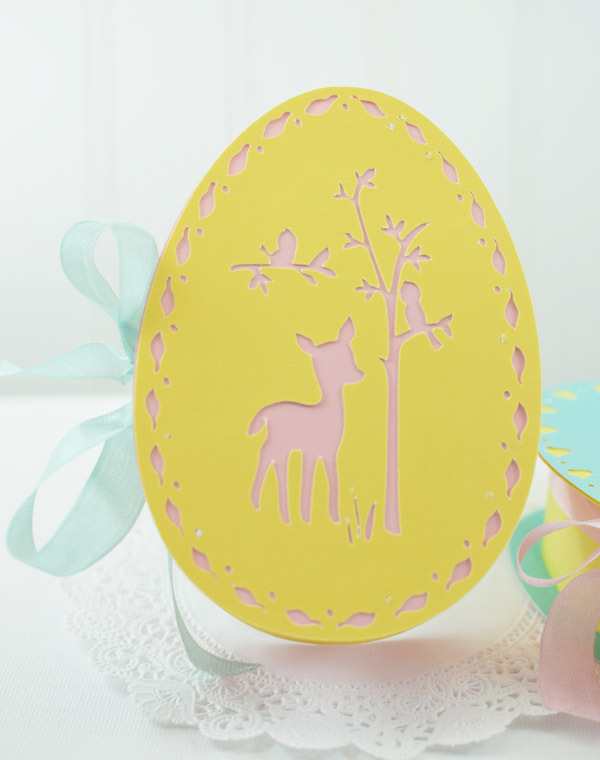 To make these, I sized the eggs to 3 1/2 by 4 7/8". The bottom of the egg box is also the same size as the two top pieces. I cut the bottoms of the egg boxes the same color as the tops. 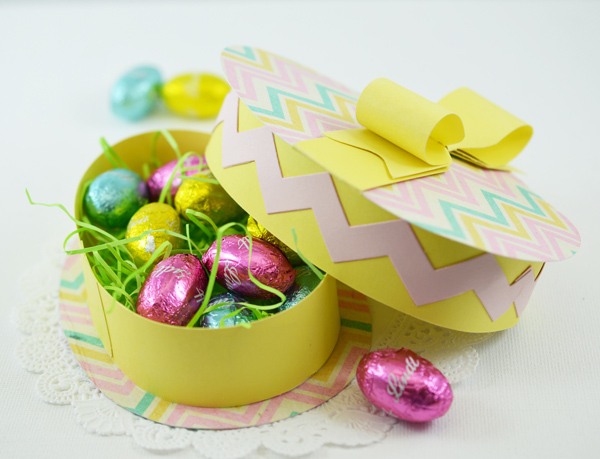 Now cut the inside eggs for the top of the box and the bottom of the box. 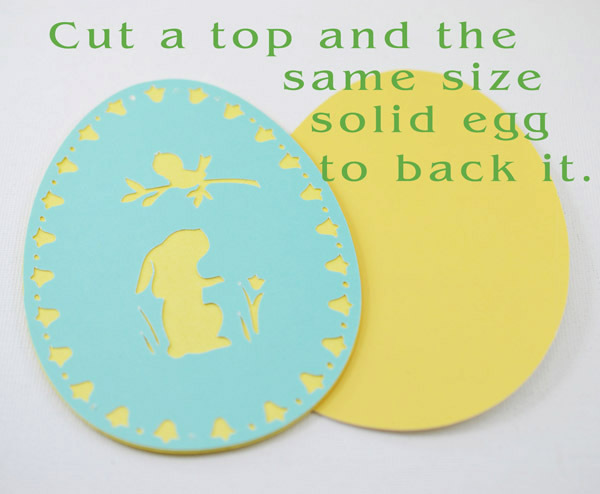 You want the eggs for the bottom to be just slightly smaller so the top will slide right over the bottom. 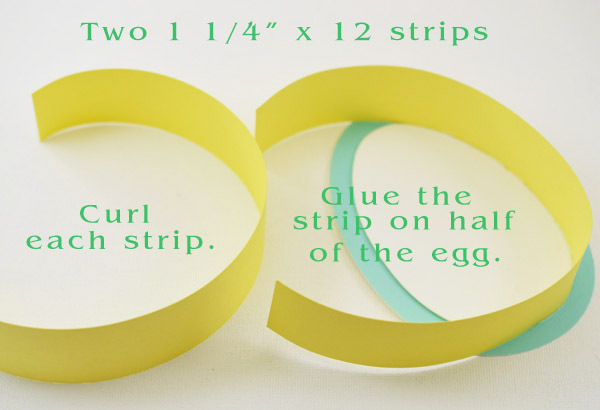 The 3 1/2" wide egg is about the max it can be and still be able to use a 12" strip to make the sides of the egg box. In fact, the next ones I make I'll probably make them a little smaller and use a strip of 11" paper because my 8 1/2 x 11 cardstock is sturdier. I start by just gluing the strip to half the egg and letting it dry a little and then going ahead and wrapping it all the way around. 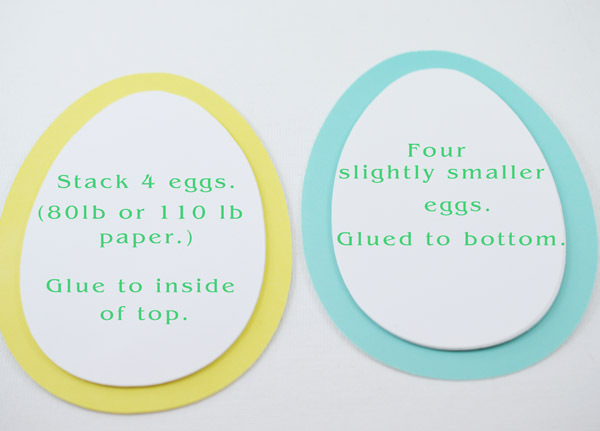 Whatever size egg box you make, be sure to have a long enough strip to have a little overlap. 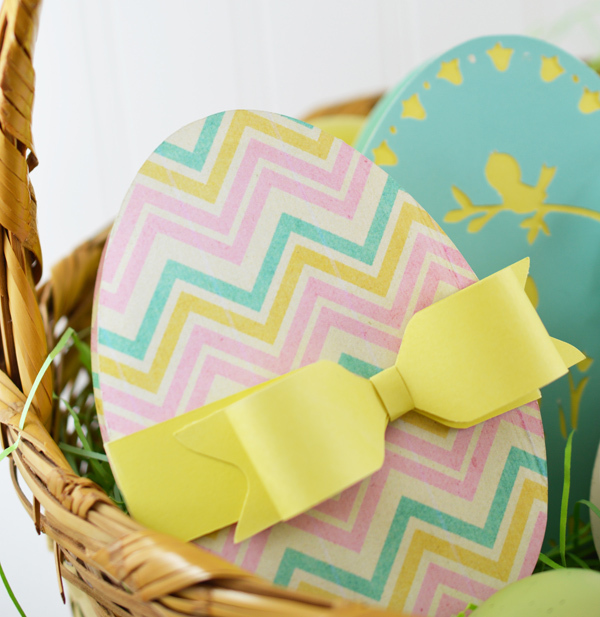 For the chevron egg, I used only the solid egg that comes with the set. And for the bow - guess what??? 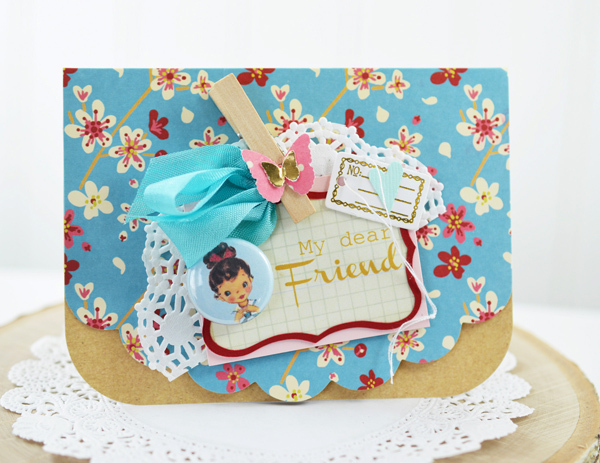 I used my Stampin' Up Envelope Punch Board to make this bow as quick as a flash! 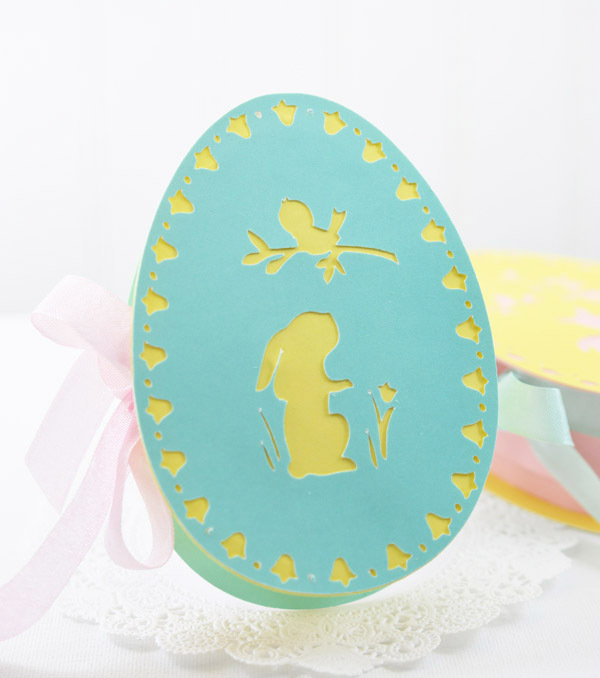 These darling bunny egg boxes are part of the Hunny Bunnies set. I sized them at 2 1/2 inches wide and used a strip of paper 1" x 8 1/2" for the sides. I used the solid egg from the Cut Flower Eggs set for the bottom and inside eggs. In the spirit of full disclosure: I now get a small token from Lettering Delights if you click from the image below or in my side bar to purchase from Lettering Delights. Dennis had to work this morning to finish up a floor plan, so I picked him up for lunch. Several streets were blocked off for the St. Patrick's Day parade. We saw a little bit of it - the Mexican restaurant we went to is right on the parade route. So fun with everybody wearing tiny green hats and big green bows! 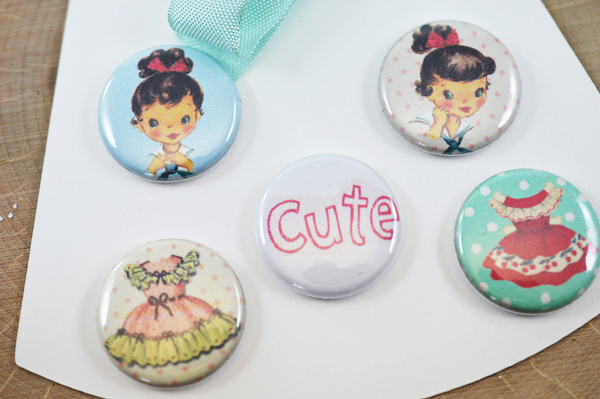 Hard to resist these cuties from Peggy Loves Vintage. 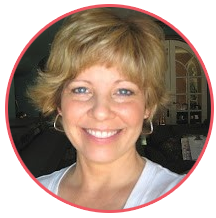 She has a lot of sweet vintage images in her store. (Sorry the image is a little blurry - but I sold all of these before I realized the picture was so bad!) 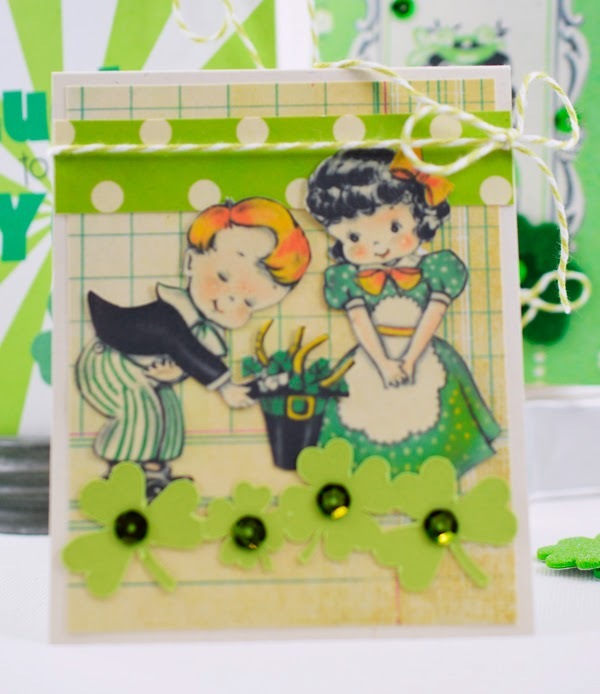 The shamrock border is from the Silhouette store. Luck of the Irish to you and don't forget to wear green on Monday! Just had a fabulous weekend visiting my daughter and her husband in Wichita! Good company, good food and good antique stores - lots of fun! I found a really cool old paper roll holder (I'm thinking ribbon and/or twine will look really nice on it) and a lovely old sewing machine that was calling my name. HAVE to organize my craft room, so I can display all my lovelies! This lovely is Zentangle Butterfly and and I've given it a new look. You can see it's first look - the little notecards - here. 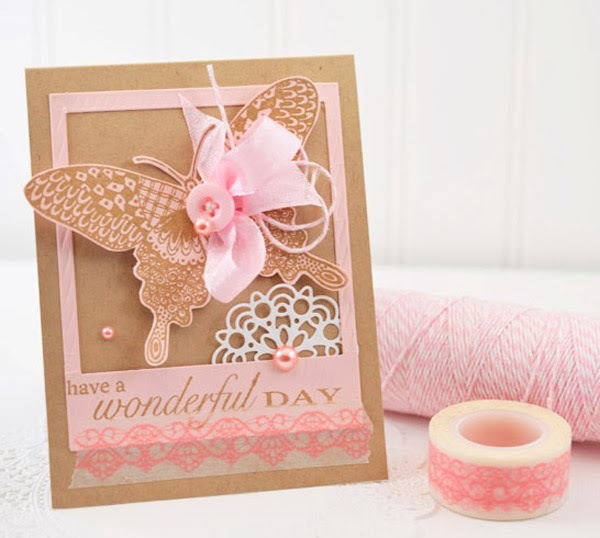 Love it stamped on pink with Baked Brown Sugar ink from Stampin' Up. I think I especially like the name of the ink! The pink photo frame is from the On Film framelits dies. 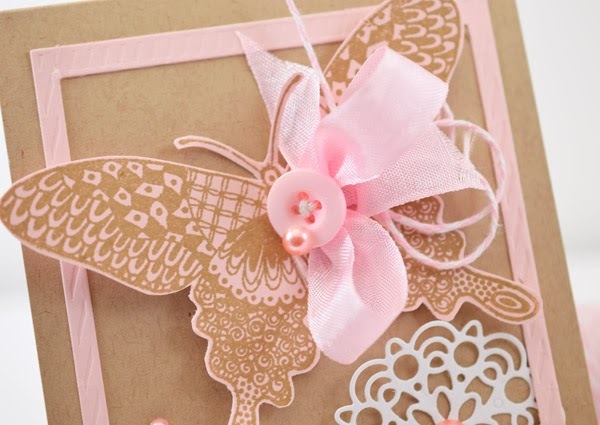 Here's a closeup of the sentiment that comes with the butterfly stamp and that pretty mini doily is from My Favorite Things. If you would like a Zentangle Butterfly stamp, I still have a small number in my etsy store. 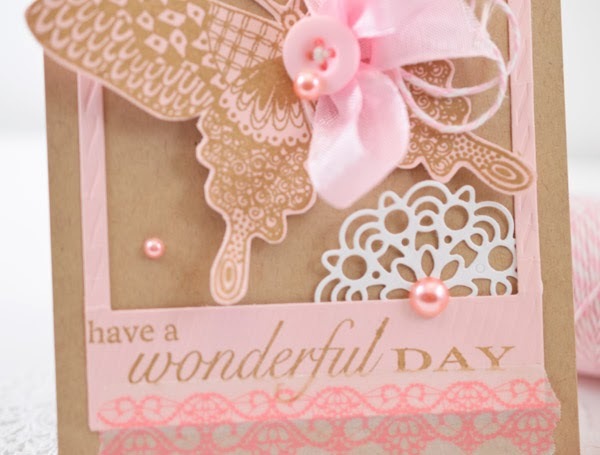 So nice of you to drop by - Have a wonderful day! It seems that muslin bags are just adorable all by themselves. 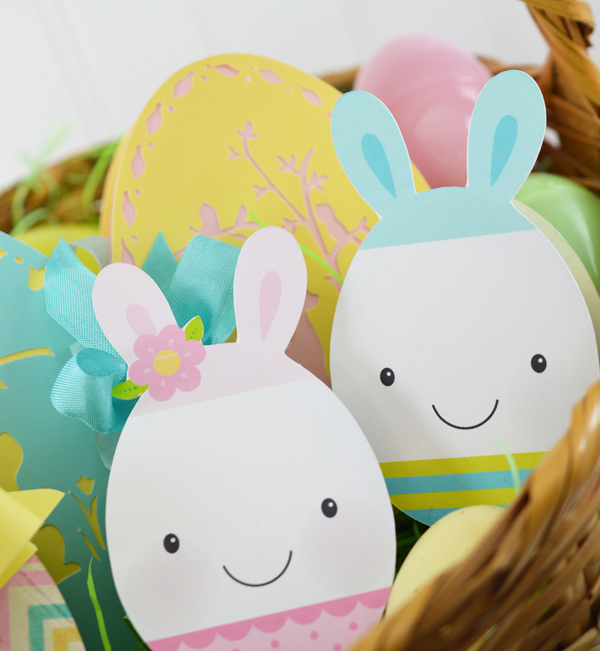 Dress them up a little and they are about as cute as they can be! 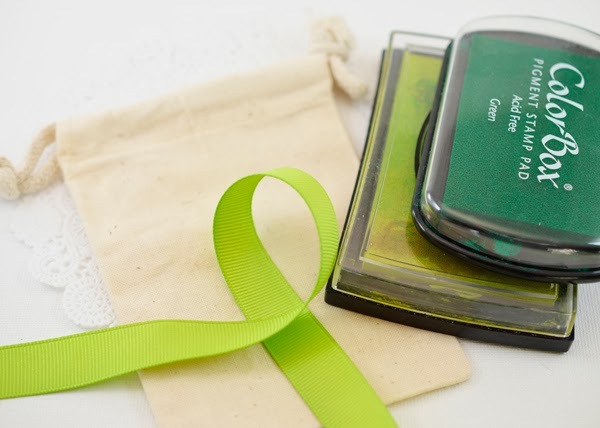 You'll also need your favorite St. Patrick's Day stamps. 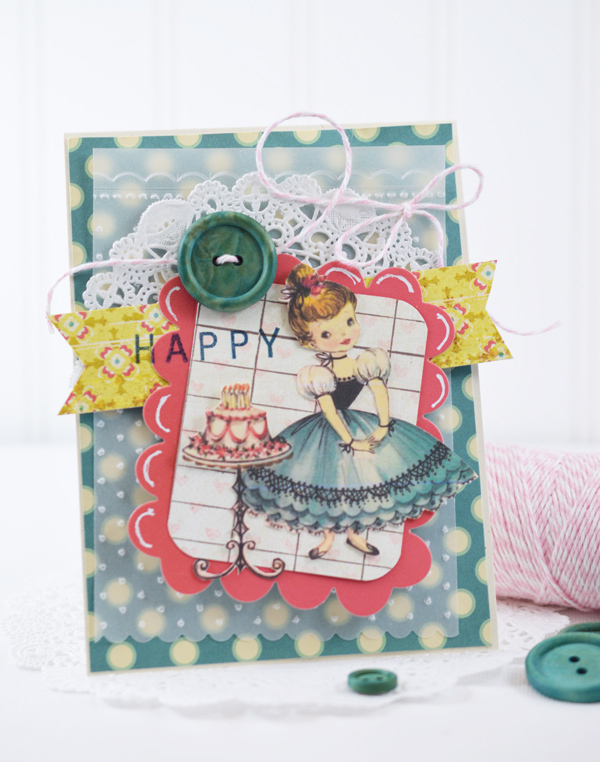 I used Lucky You from Verve Stamps. I inked the stamps with the dark green ink first and lightly stamped it on a piece of paper to get rid of some of the ink. Then I inked the stamps again with the lighter green. The bow is hand sewn in place (don't sew it to the back layer!). 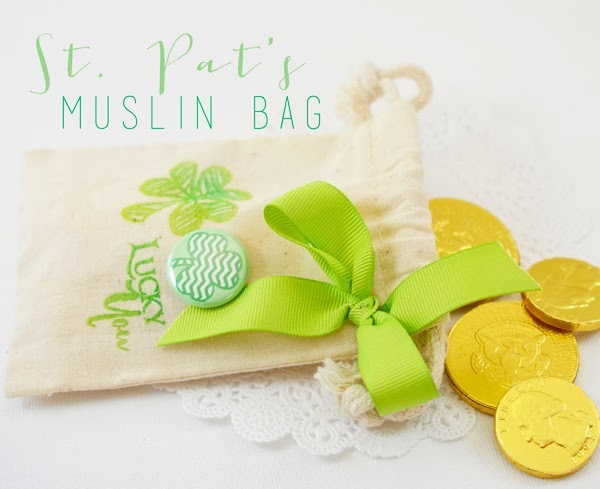 Now, just add chocolate coins for a fun, tasty St. Patrick's Day treat! 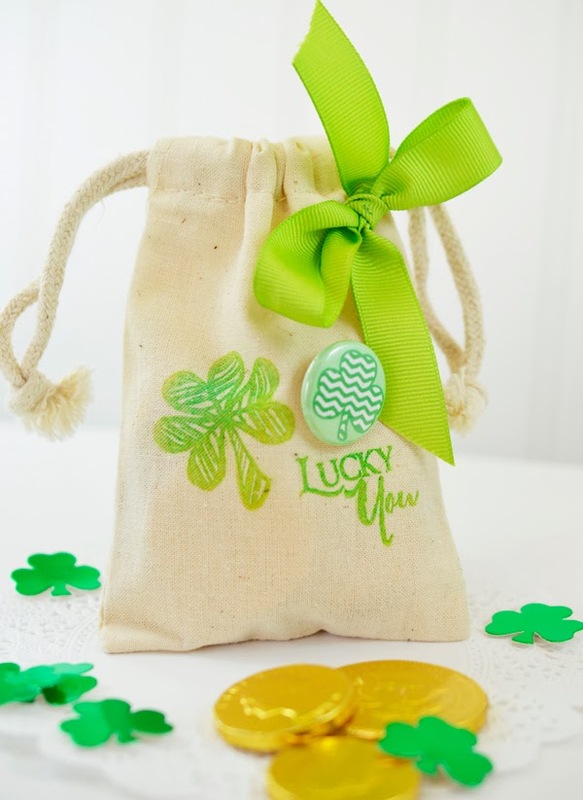 Hope you have the luck of the Irish this week! 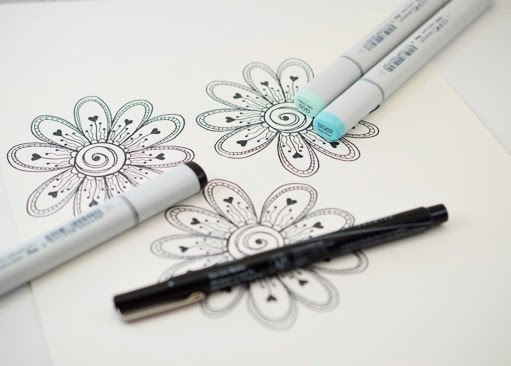 I'm kind of in love with this flower stamp! And that's saying a lot because I'm really not a flower kind of girl. I always think they're pretty, but I never really buy flower stamps. But this one caught my eye. Its called Fiona. Here it is from the side - you can see I divided the stamp into three layers. I stamped the image three times. I colored the first one all in with black. The second one I colored the checked edge and the rest of it black. I cut it out around the checked edge. 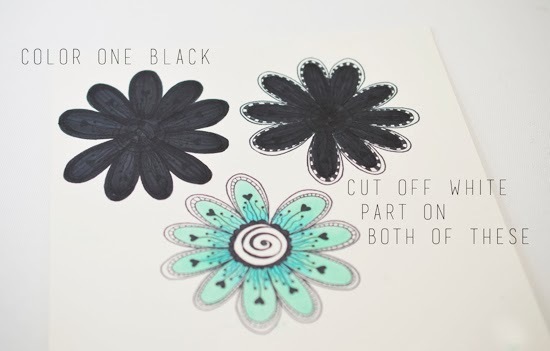 The third one I cut out around the petals and used my G00 and BG02 Copics to color it. I LOVE G00 - it must be my favorite Copic color! The background was made by dripping G00 ink from the refill bottle onto the cardstock. Then I hand drew a black circle on each one. The hearts on the background and the one on the tag are from an alphabet/mini frame set. You can see one of the mini frames on the little black tag. The Thanks is done with the alphabet stamps. Very cool upper and lower case letters! 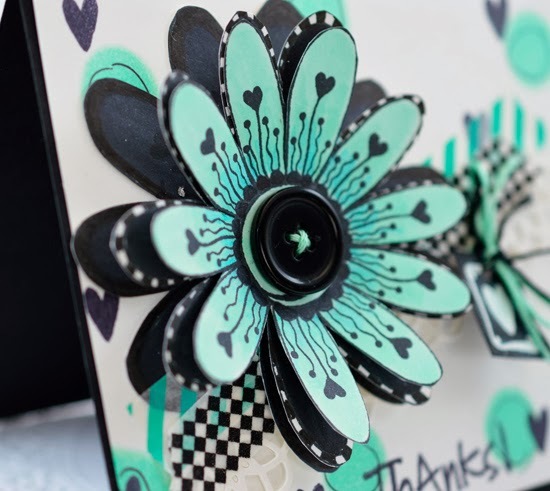 The card is mounted on black cardstock - along the bottom I used my white signo pen to doodle some lines and dots. If you need a white signo, copics or copic refills, email me. The store I work at carries all of the them at great prices! Fiona (the flower) and the alphabet/mini frames are available in my etsy store. 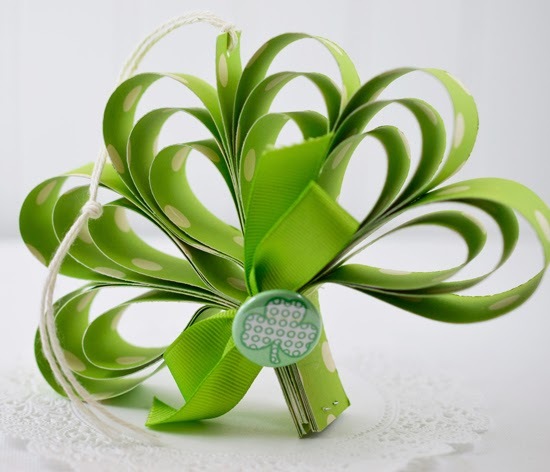 If you haven't seen my shamrock ornament video yet, scroll down one post and check it out. It's my first video ever! Thank you for all the kind comments! 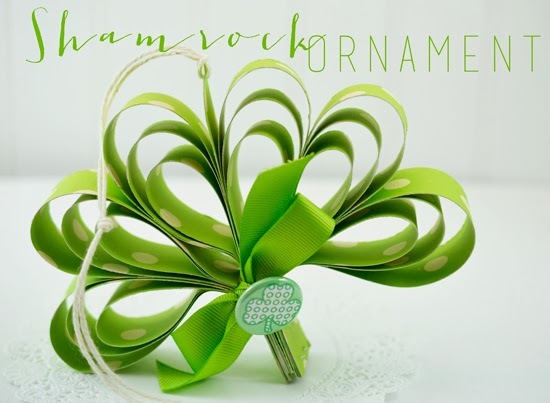 Shamrock Ornament + First Video! I'm so excited!!!! I just did a video on this darling Shamrock Ornament - now it's not perfect by a long shot - but it was fun and surely I'll get better at it. It's got a couple of places where I got my head in the shot, which would be bad enough. But the worst part is that my hair looks really wonky. Dennis says it's because the camera is shooting through my bangs. But whatever the reason, it is pretty funny! I'm going to try really hard not to get my head in the next video!! You can watch the video right here on my blog. It would also be really great if you could pop over to YouTube and like it for me. You can click HERE. Well, you can see I've got a few things to work out. But for a first time video, I'm okay with it. 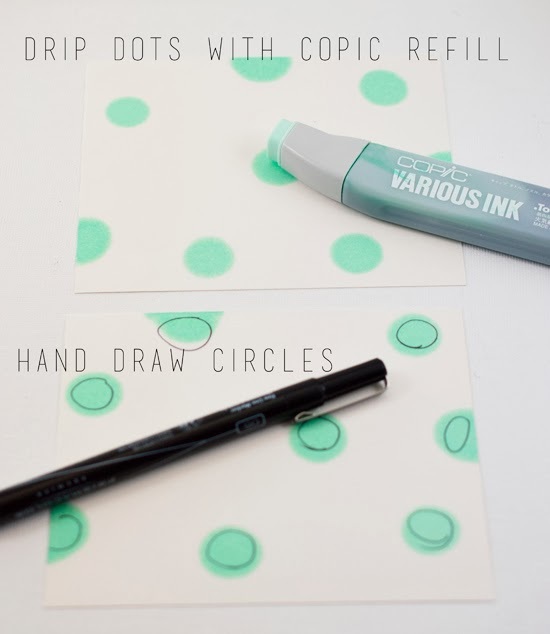 I love the color green in this paper and I always love polka dots. It is part of a digital download from All is Full of Love. Hope the video is helpful and thank you for stopping by! Have a wonderful week!